Obviously where there’s people there’s potential for money to be made, and the proprietors of the Mountain Goat Inn have decided that this valley airtrade route is the perfect place to set up shop. 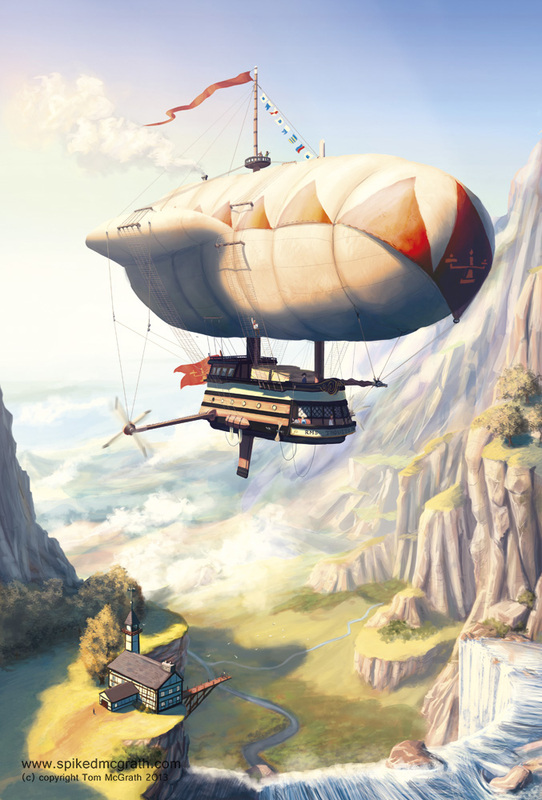 Passing airships can dock and enjoy some suspect looking home-made pies and disgusting local ale at extortionate prices before continuing onwards and upwards beyond the mountain passes ahead. The flags are based on genuine naval flags and spell out a secret message to an elite few.